Dr. Caroline Clason, Lecturer in Physical Geography, is Plymouth's Principal Investigator on the new project, working alongside Professor of Catchment Science Will Blake and Professor of Geoscience Communication Iain Stewart. The research also involves Plymouth Marine Laboratory and the Westcountry Rivers Trust. Dr. Clason said: "The glaciers of the Andes are crucial for these communities. For example, in the Ancash region of Peru, glacial melt provides up to 67 per cent of the dry season water supply going up to 91 per cent during extreme drought. 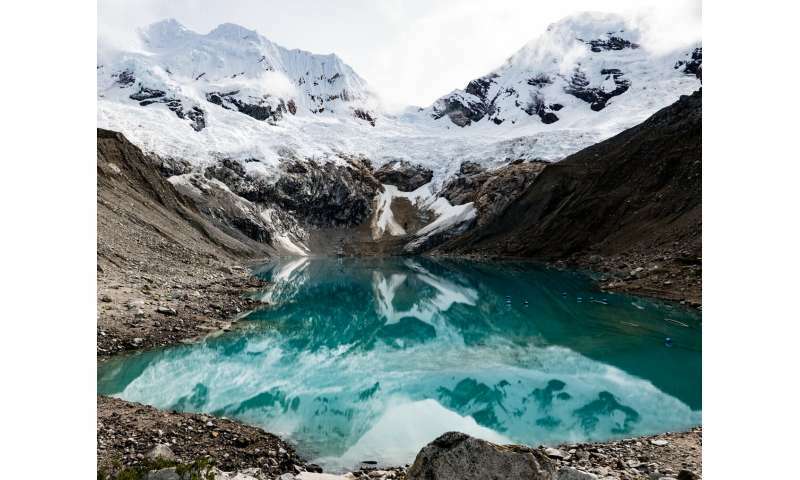 The rapid retreat of glaciers in the Cordillera Blanca has already had notable impact on that supply, posing challenges for downstream agriculture, industry and hydropower generation not just through a reduction in water but also an increase in sediment and contaminants transported downstream during wet season floods. Fully understanding these challenges, and working with local people and agencies to find ways to overcome them, is essential." Dr. Sergio Morera, of the Geophysical Institute of Peru, added: "Although the Santa basin is the most studied catchment system in Peru, the outputs of scientific studies emerging in the region have not yet translated into development and improvement of management and adaption policies. Our own studies have shown that the Santa catchment has the highest erosion and sediment transport rates along the Pacific coast, reflecting the susceptible geology and intense mining activity, but to date there has been no policy response. Our strategy will try to promote a real change in policy through a combination of stakeholder engagement, training and knowledge exchange activities. These are integrated with our research programme, permitting research output and impact to develop iteratively in parallel."